who rose on Easter Day. Beth McDonough’s poetry appears in Agenda, Antiphon and elsewhere; she reviews in DURA. 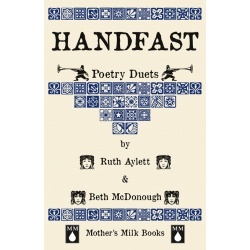 Her pamphlet Handfast (2016, with Ruth Aylett) explores family experiences – Aylett’s of dementia and McDonough’s of autism.